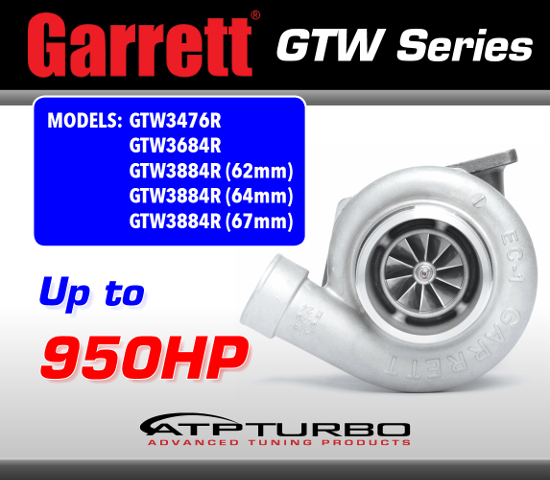 GTW turbo models from 700 to 950+HP! NOT a direct drop-in replacement to the small frame GT or GTX Series turbochargers. GTW Journal Bearing CHRA DOES NOT use the same oil feed and oil return fittings as the small frame Garrett GT or GTX Series turbochargers. GTW Ball Bearing CHRA DOES NOT use the same oil return fittings as the small frame Garrett GT or GTX Series turbochargers.